You can have a simply stunning addition to your child's bed with this attractive nightstand. The piece carries a maple oak finish and features clean lines as well as bracket feet. In addition, the drawer and open compartment are wonderful for keeping books, magazines, diaries, pens, lotions and alarm clocks. 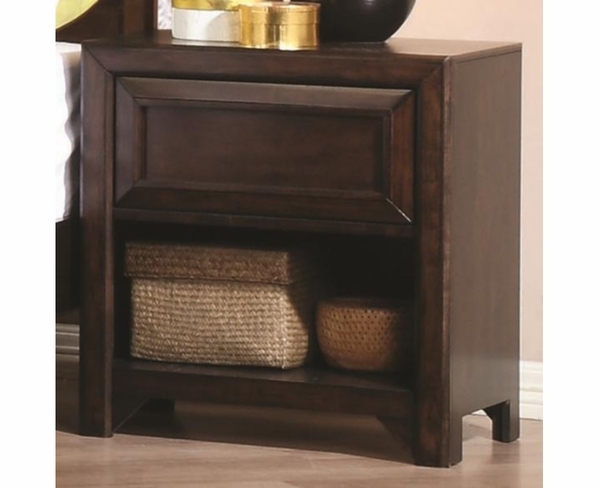 With clean style to spare, this nightstand is sure to please.